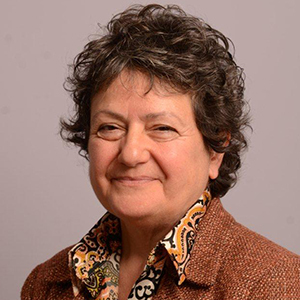 Many of you will doubtless be familiar with our Chief Social Worker for Adults Lyn Romeo’s blog where she regularly sets out her beliefs, values and objectives for advancing the quality, value and breadth of adult social work in England. 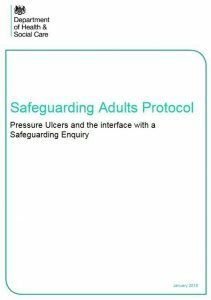 Today, she publishes a new Safeguarding Adults Protocol for pressure ulcers. Their prevention or mitigation may not immediately spring to mind as a social work issue. However, for social workers, their close involvement in the lives of families and individuals makes them well placed to identify risk and work with clinical services to avoid their occurrence. Social Care News is therefore delighted to host this guest blog from Lyn in which she explains why this new protocol is so important – not just for social workers, but for all health and care professionals caring for or treating adults. “Pressure ulcers are truly dreadful for those who experience them - and distressing too for their families, friends and carers. The damage cannot be over-stated and they continue to be a major challenge for health and care practitioners across sectors. Some localities have done amazing work to reduce or eliminate pressure ulcers in hospital and care home settings - I sincerely applaud this. I’m sure you’ll agree these demonstrations of best practice need to be replicated across the country - particularly in community and home-based settings. Most pressure ulcers are, in fact, preventable. But to prevent them we need to ensure that all health and care professionals (including social workers) involved in the planning, commissioning and delivering of health and social care can spot the risks and take appropriate speedy action. The reality is that most of the people at risk of developing pressure ulcers do not come into contact with expertly trained staff, such as tissue viability nurses; not during assessments, care commissioning or even when care is being delivered. Until now, there has been little, if any, consensus about the right agency, or multi-agency, response to identification of pressure ulcers. This has been damaging in a number of ways but especially for the individuals and the families concerned, often caught up in interminable bureaucracy following investigations to establish causes. Adult safeguarding referrals and processes are rarely the answer for a problem that needs to be clinically understood and resolved. And that is one of the drivers behind this guidance. Frankly, the use of pre Care Act (2014) adult safeguarding processes means there has been too much concentration on apportioning blame (on agencies or individuals) rather than preventing harm or making sure individuals at risk are comfortable and their wellbeing maintained. This guidance should be incorporated into local adult safeguarding procedures, quality standards and commissioning arrangements to make sure that the risk of pressure ulcers is dramatically reduced. It should also be used to facilitate timely, proportionate and effective responses to perceived risks and, in so doing, maximise benefit and minimise intrusion to the individuals concerned. As social workers, we are professionally and empathically attuned to the physical and psychological state of those we seek to help. This protocol, though, is relevant to all health and care professionals working with adults. Please use it and together we can deliver timely, preventative and dignified care to those who need it most." I am currently seconded as the Principal Social Worker for Health and Adults in Royal Greenwich. We have welcomed the new guidance and are working with our colleagues in the CCG to start implementing the protocol here in Greenwich.It feels like a substantial shift and I was wondering if there was any suggested reading or people we could speak to, that might help us along our journey.